Virginia capped an amazing NCAA title run earlier this week with a thrilling overtime win over Texas Tech. UVA seemed to be a team of destiny, pulling off two miraculous finishes in the regional final and Final Four. Just a year ago Virginia suffered a somewhat less glorious fate, as the Cavaliers became the first #1 see in NCAA tournament history to lose their first-round game. Their “worst to first” story certainly makes the championship win more appealing. While such turnarounds may be rare in the sports world, they are not uncommon in the world of investing. We are advocates of a diversified investment strategy that builds portfolios using five equity asset classes; large cap, small cap, international and emerging markets. We know that these asset classes never perform in unison, and we don’t try to predict from year to year which will be the best performer and which will be the worst. Instead, we bet that capital markets will work over the long term. Occasionally, we get a question why we owned “fill in the blank” asset class, given its poor recent performance. 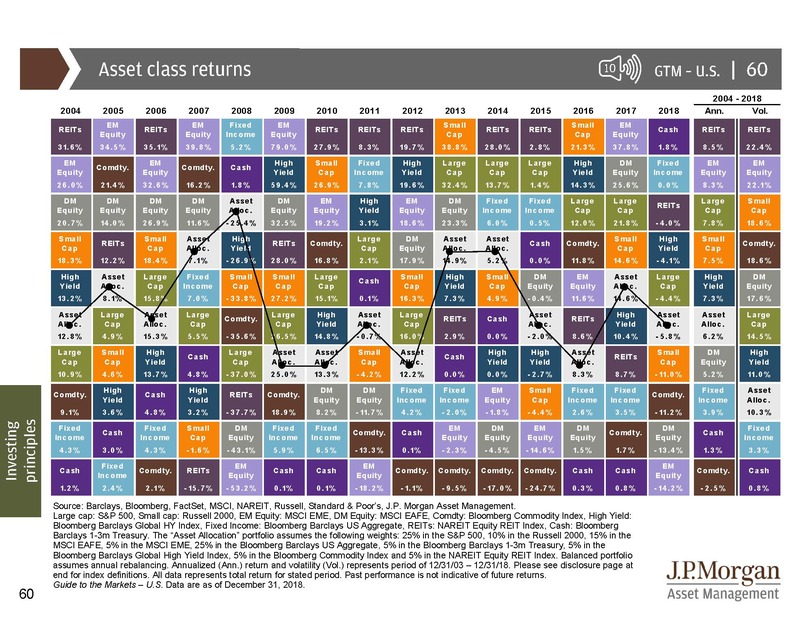 As the asset return chart below shows, it is not uncommon for an asset class that was a bottom dweller in one year to rebound to the top in the following year.